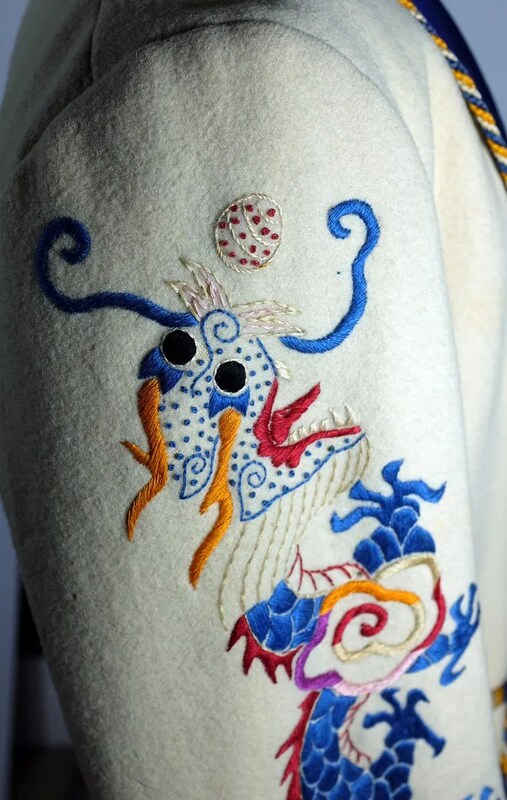 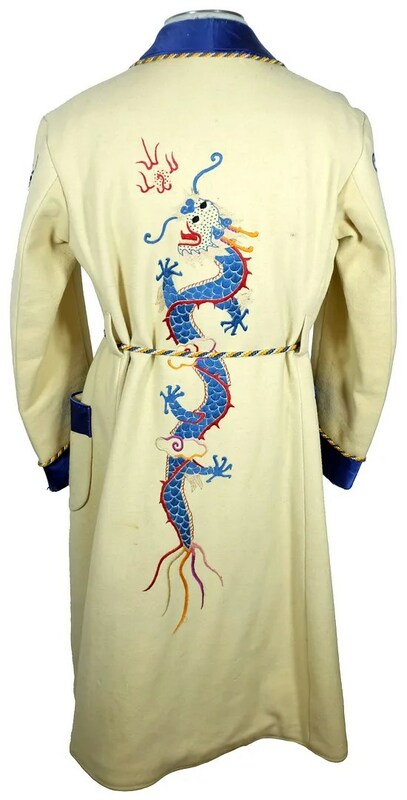 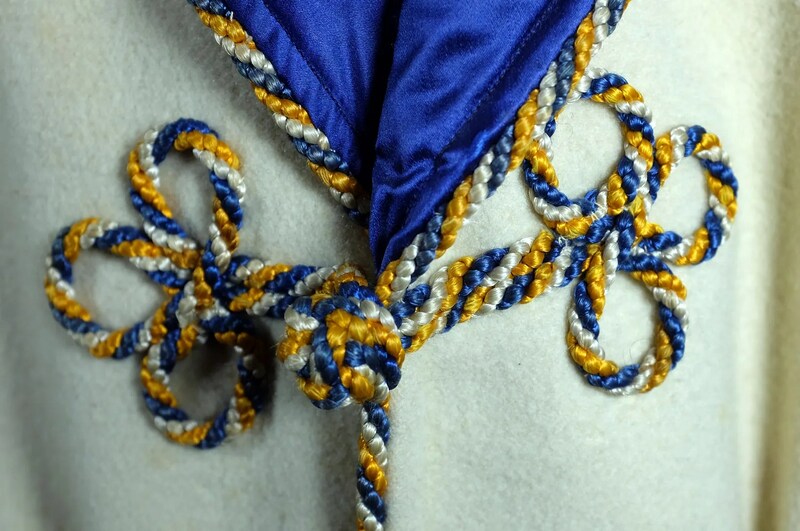 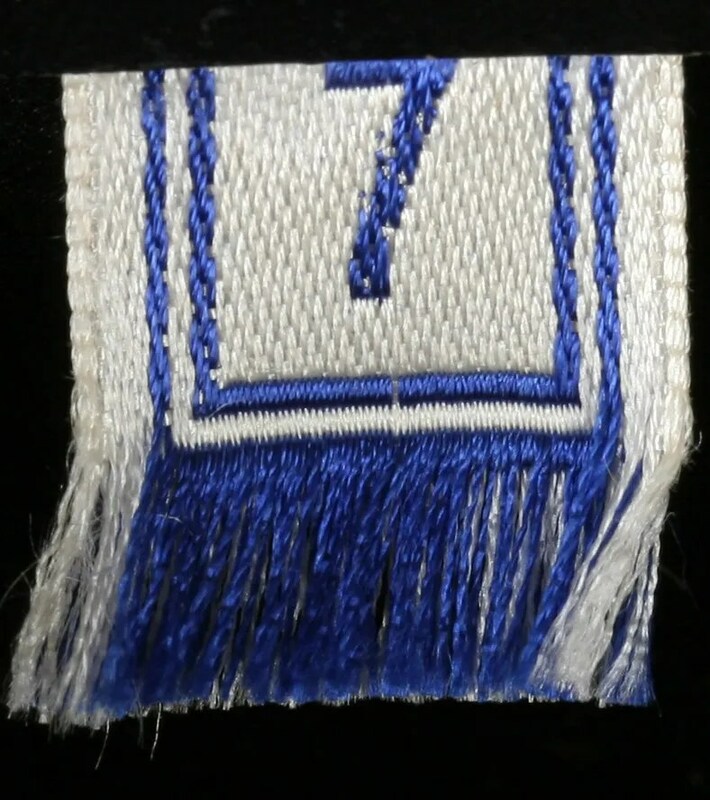 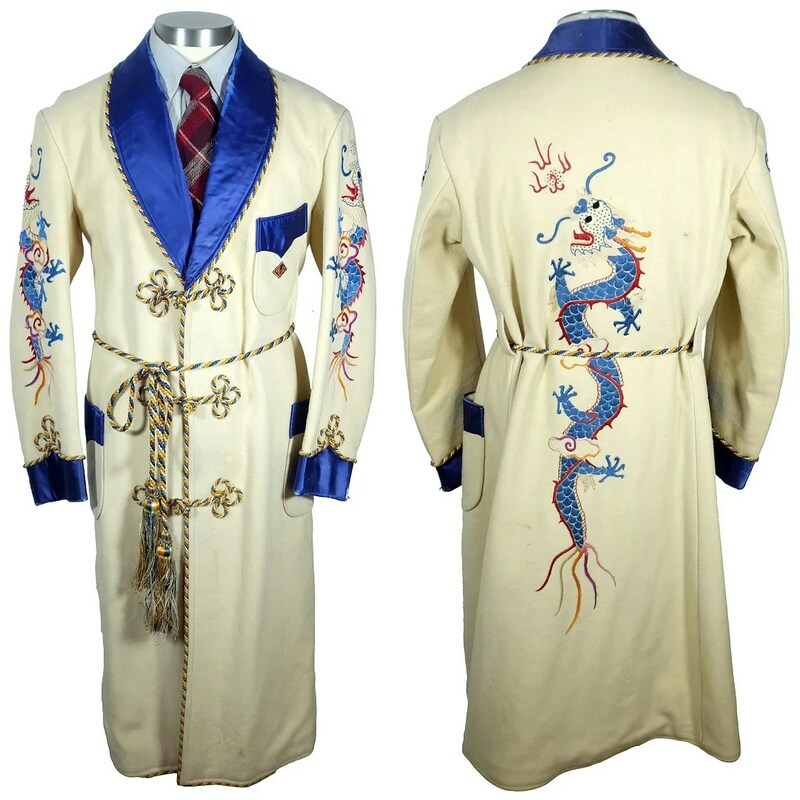 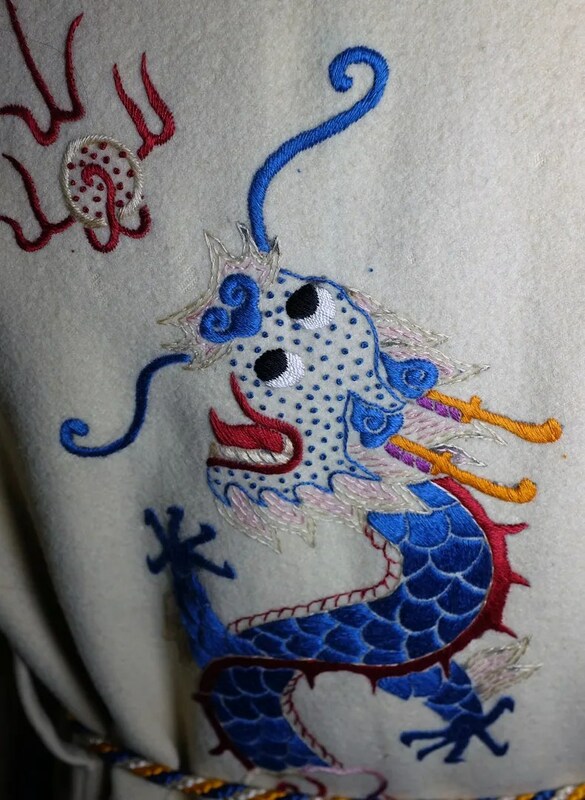 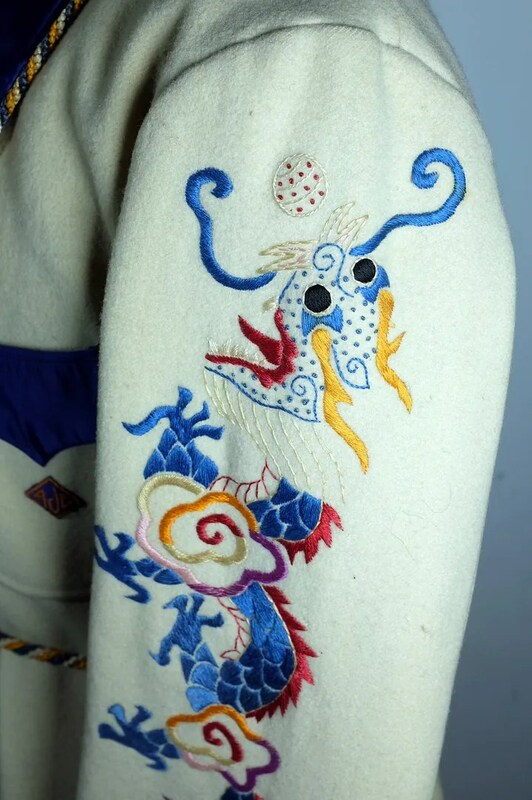 This vintage robe is made from cream colored wool, with a blue satin collar, cuffs and pocket tops, cord trim and belt and embroidered dragons on the back and sleeves. 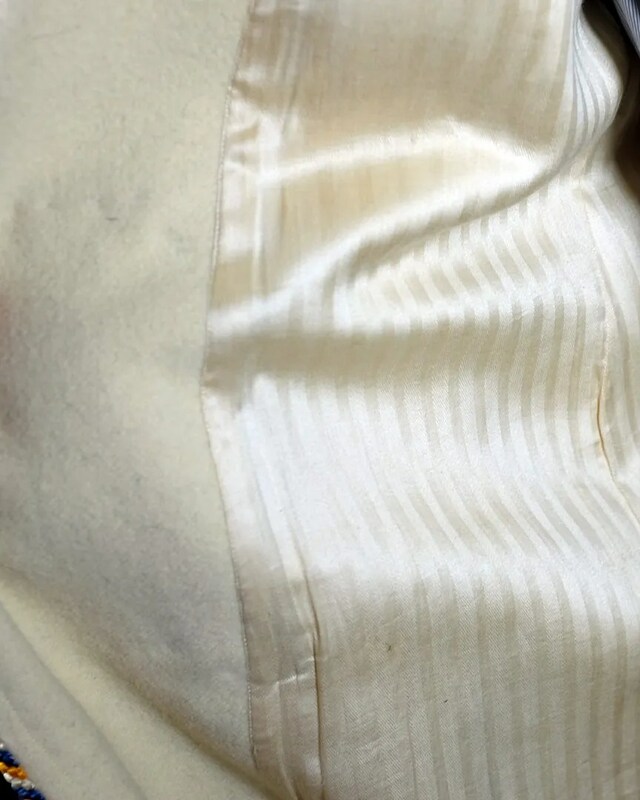 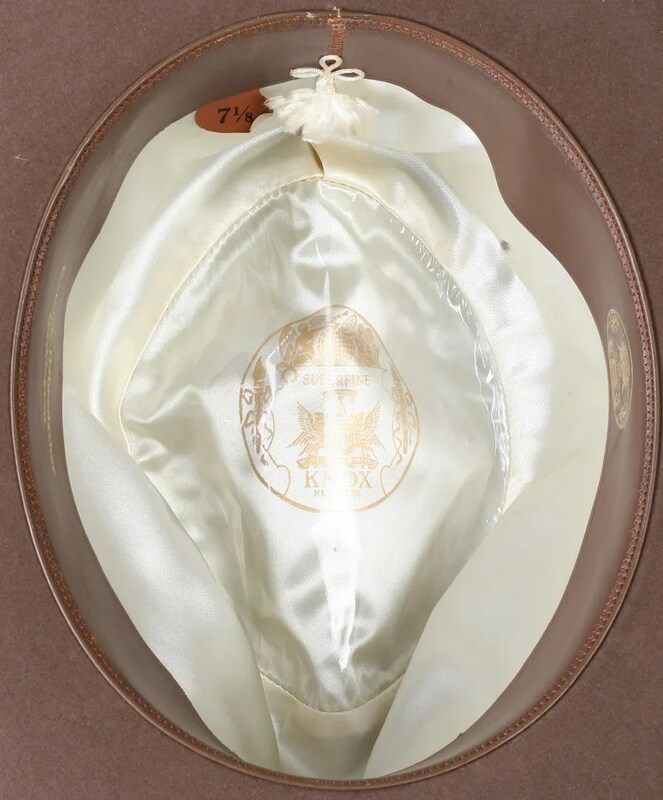 It has a monogrammed breast pocket and full striped lining. 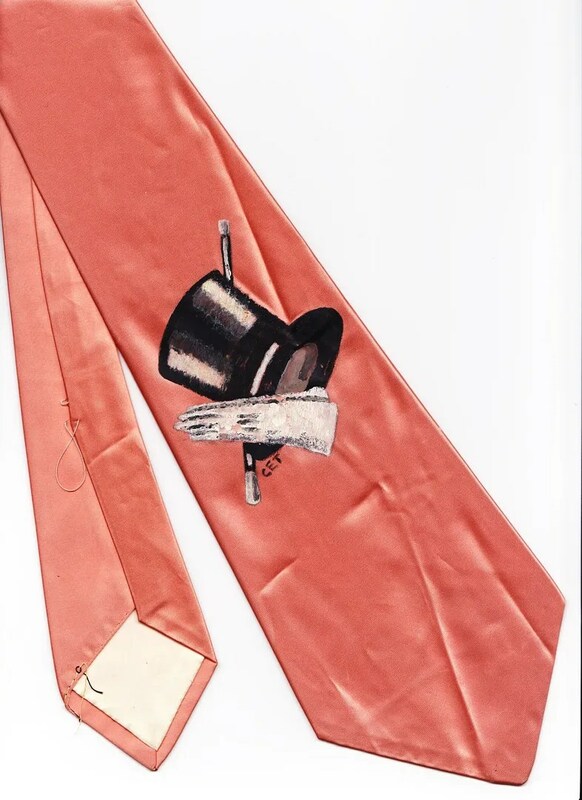 Top Hat, Cane, Gloves. 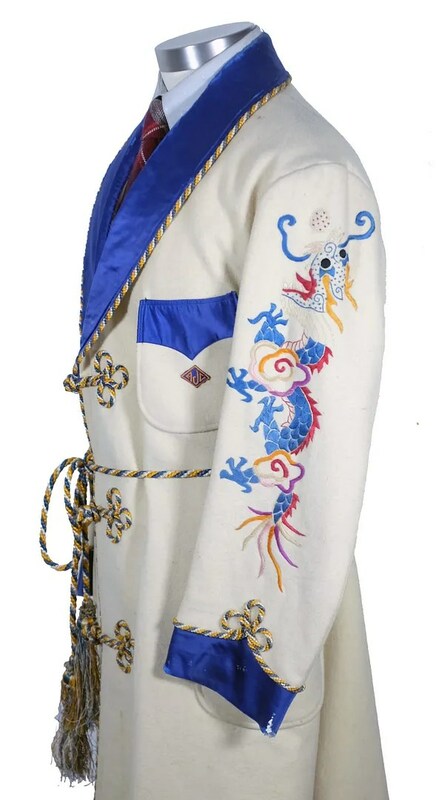 A very informal take on formalwear. 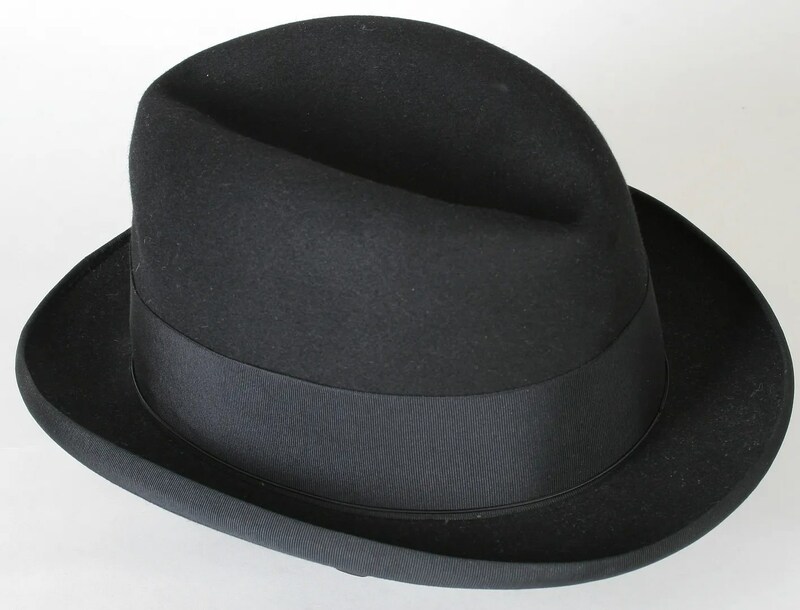 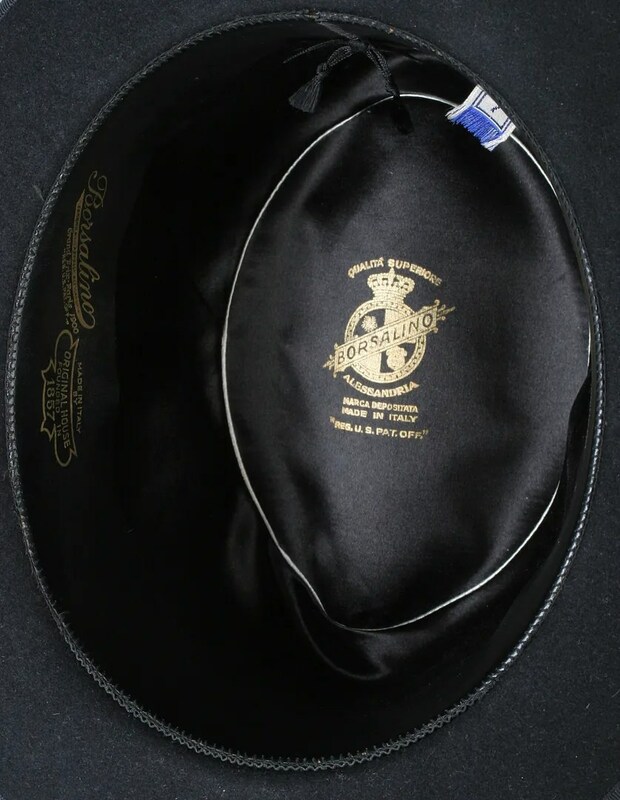 This homburg is as soft as butter. 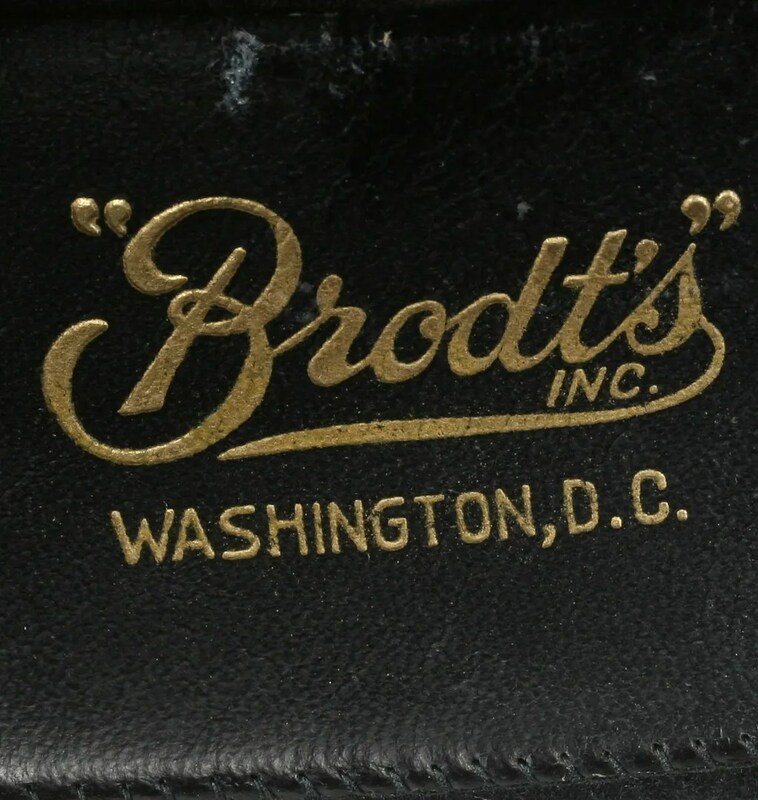 Brodt’s used to be a great hat shop in Washington, DC. 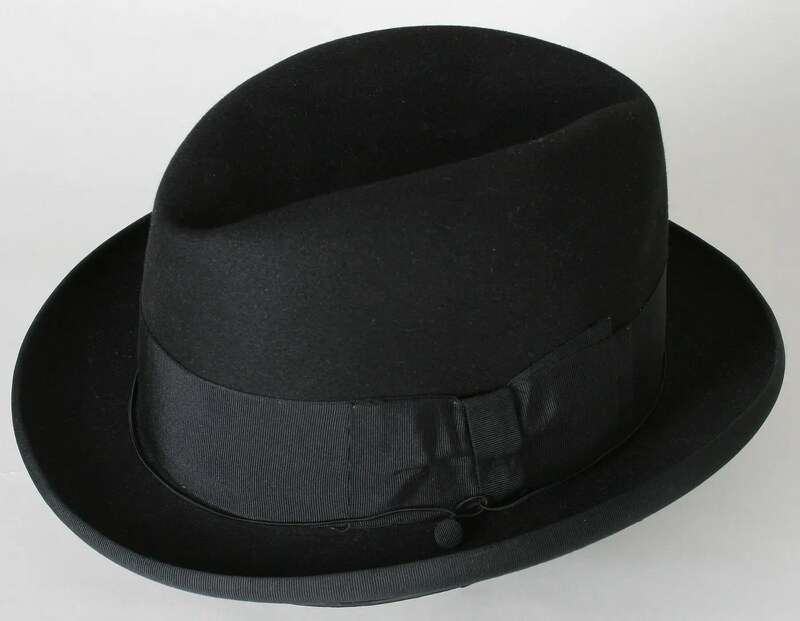 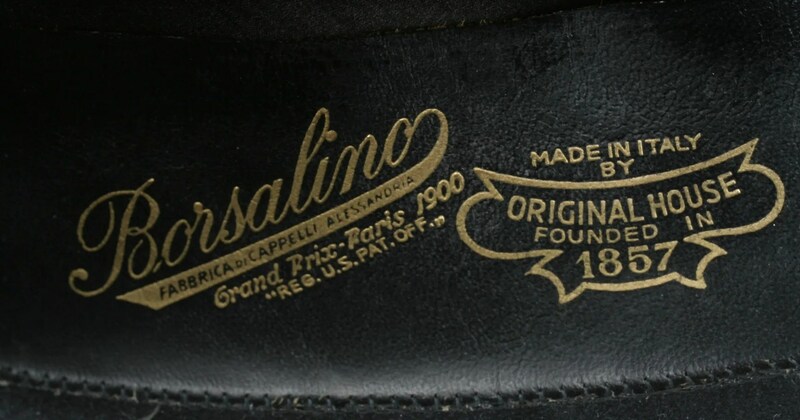 It closed before my time, but I’ve had several hats that they’ve sold, and they were all phenomenal. 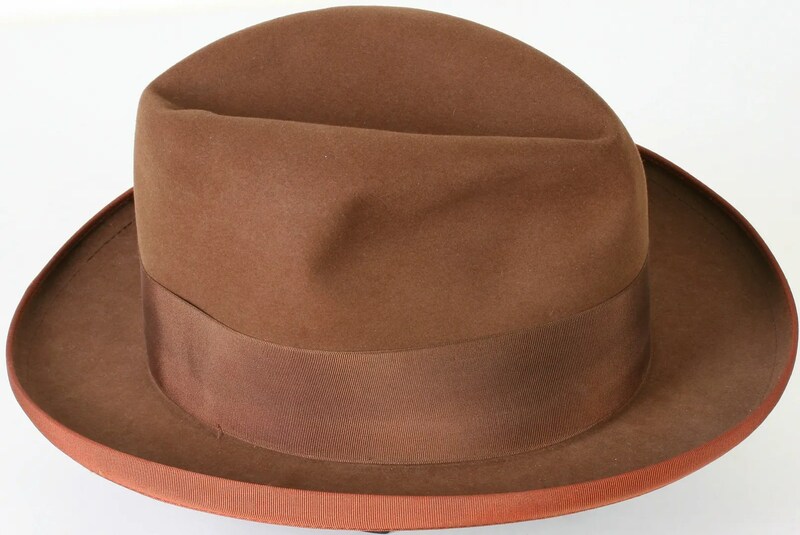 This hat runs the casual end of homburgs. 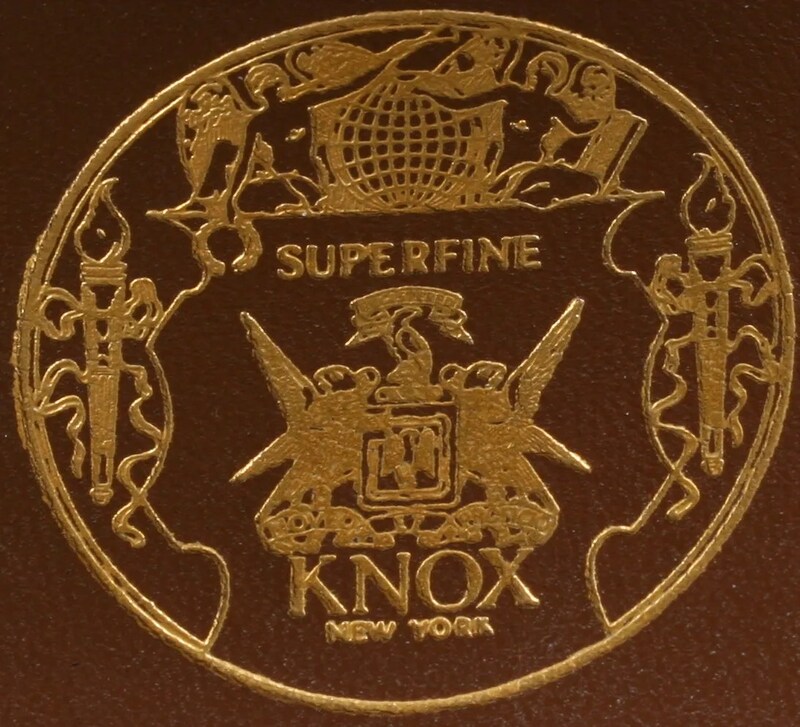 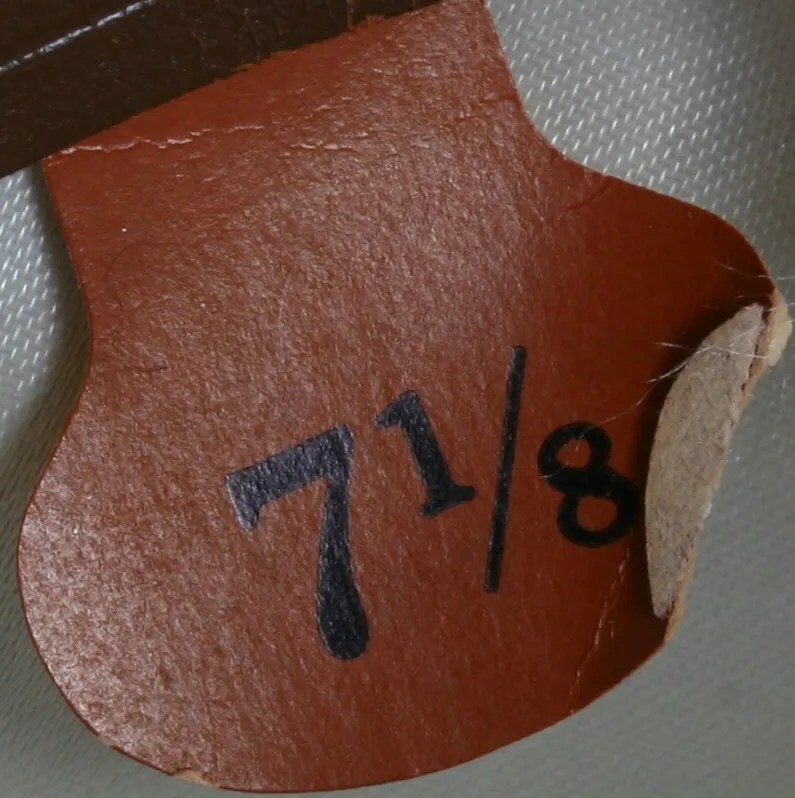 Brown, front dents, rust colored binding. 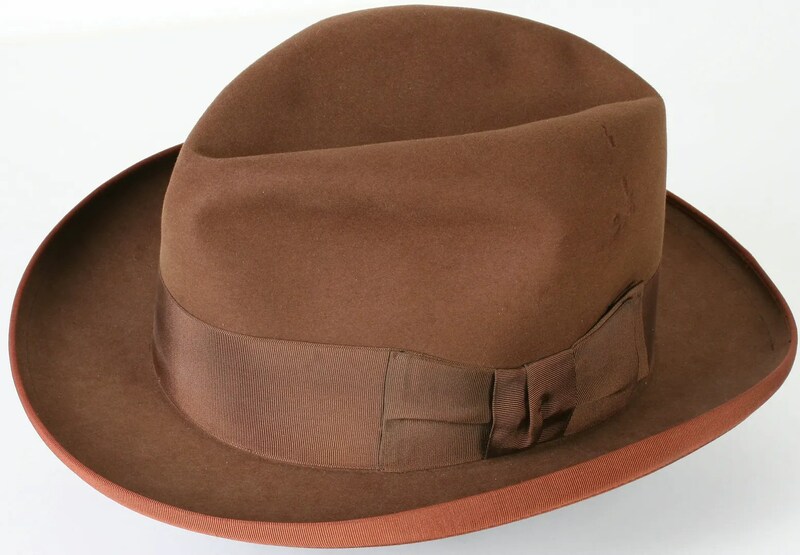 I got this and a similarly colored Stetson Flagship in trade for a thin ribbon 1950s Mallory, which suited, and fit the client much better.